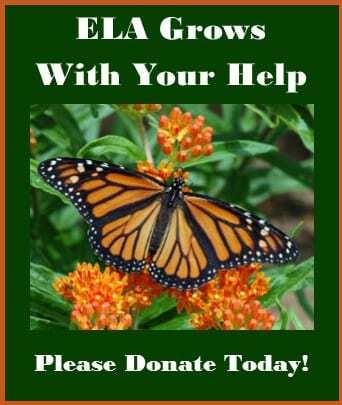 In recent years homeowners have developed a consciousness about the need to include more native plants in their gardens. But when thinking of native shrubs in particular, what often comes to mind are bulky plants that appear “out of scale” and are sparse in ornamental features. 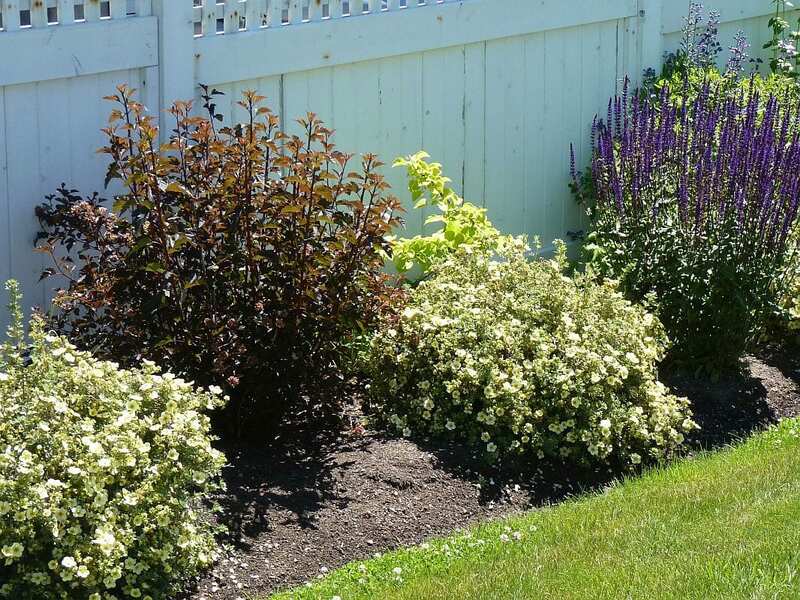 Serviceberry, Chokeberry and American Cranberry Bush pale in comparison to many of the refined ornamental shrubs which have been gathered from every corner of the world. These introduced plants set the expectations of many homeowners, but luckily native shrubs are catching up. We no longer have to content ourselves with second-rate flower displays, monotonous foliage colors, and lack of refinement. 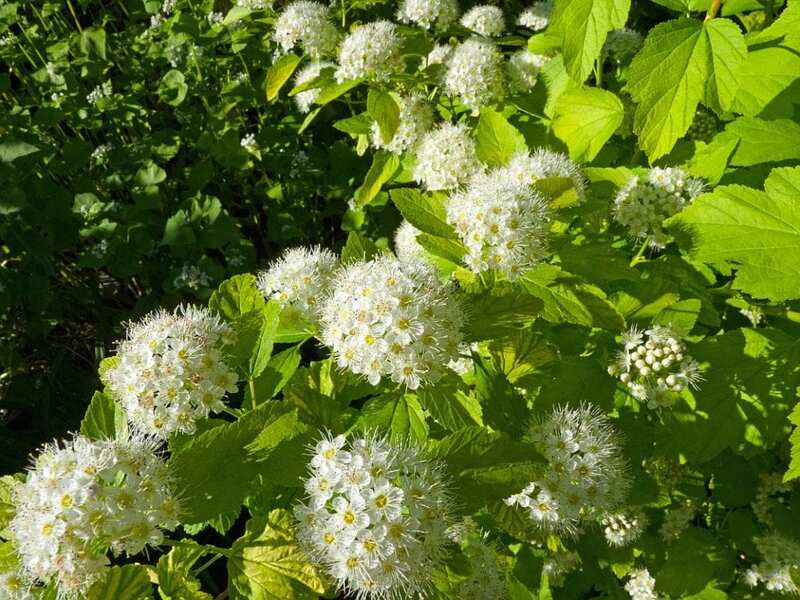 The nursery trade has responded to the increased interest in native shrubs by including previously uncommon natives into their collections, and by working with plant breeders who have come up with improvements that nobody would have expected only a few years ago. In the following I describe both the ecological benefits and aesthetic value for the designer of a few striking native garden shrubs, especially the more compact ones, some of which are plain species, and others brand new varieties resulting from years of hard work in test fields and greenhouses, but still based on native species. New Jersey Tea (Ceonanthus americanus) is a beautiful small shrub with fragrant white flowers, somewhat resembling a spirea. The yellow stems are noticeable in the winter. Like many other shrubs in the buckthorn family it is able to fix nitrogen from the air (with the help of symbiotic microorganisms), allowing it to thrive in extremely poor soils. Therefore, New Jersey Tea is an excellent choice for dry, rocky slopes and other difficult locations with lean soil. The root system is fibrous on the surface, but has some strong tap roots that reach deep into the soil, which is why this shrub is difficult to transplant and therefore not very common in the trade. Due to a considerable rise in demand, it has become more widely available in the last few years. Research has proven that an inoculation with the nitrogen-fixing organisms (with the tentative name Streptomyces ceanothi) will increase growth of this plant and could be used to enrich poor soil, such as in re-vegetation areas; however, a practical method to achieve this has not yet been developed. 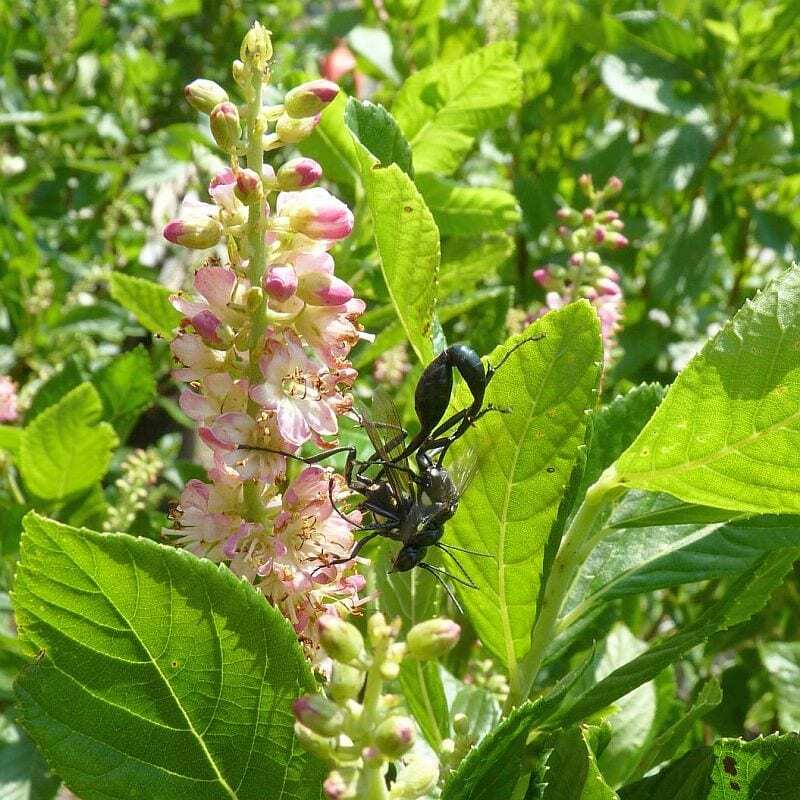 New Jersey Tea is a useful native shrub for pollinator gardens. The slightly fragrant flowers attract hummingbirds and a wide range of pollinating insects. It is a host plant for caterpillars of various butterflies, including azure (Celastrina) and duskywing species (Erynnis martialis and others). Unfortunately, deer also have a taste for it, therefore it is useless to plant it where deer populations have fallen out of balance and turned into pests. And, because deer are overpopulated almost everywhere, they have contributed to the disappearance for a considerable number of native plants! A better variety than those two seems to be ‘Ryan Gainey’, which is more compact, has stronger stems and darker foliage. Another compact form is offered by Proven Winners under the name ‘Invincibelle Wee White’™ and is praised as “the only dwarf Annabelle hydrangea in the world.” According to the company’s description is seems to reach a height of 2½ feet, which is the same size as ‘Ryan Gainey’; however, the latter is not protected by trademarks and therefore should be a less expensive plant. Who needs all those trademarks anyway? But beyond that, the world of Smooth Hydrangea is still and unexpectedly expanding. Prof. Thomas Ranney from South Carolina State University has been working on H. arborescens for close to 15 years, resulting in the release of several new varieties with outstanding properties, some of which are released to the market by Proven Winners. Beautiful round flowers of light pink can be admired on ‘Invincibelle® Spirit II,’ which sounds like the name of a space ship, but it is indeed a shrub! The flowers fade out to pale green, but it is supposed to re-bloom with fresh pink flowers through the summer and into fall. An even darker space ship variety is announced for 2017 with the name ‘Invincibelle® Ruby,’ and that color might finally be strong enough to really put a dent into the pink macrophylla market – we hope. Good job! Smooth Hydrangea is the food plant for the caterpillars of the Hydrangea sphinx (Darapsa versicolor) and the pollen-rich flowers are visited by many insects, among them bumblebees and azure and hairstreak butterflies. Shrubby cinquefoil was commonly known as Potentilla fruticosa, but has been renamed into Dasiphora. The second part of the name, formerly fruticosa, is now listed in the generally very reliable website of the New England Wildflower Society as floribunda; however, the name Dasiphora fruticosa seems to be more widespread. It t has been used as an ornamental shrub for decades, and is available in many varieties with flowers from white to shades of yellow, pink, and orange to red. This plant is often overlooked as a “native,” perhaps because it is at home all around the Northern Hemisphere. Its range includes the northern two-thirds of the U.S., where it is found at the edge of wetlands and also in the ecologically important Pine Barrens. Potentilla is often associated with the native perennial lupine (Lupinus perennis) and most often found on lime-rich soil. Shrubby cinquefoil is appreciated for its abundant and long bloom and easy care. It is a very hardy shrub for northern gardens, easy to find and easy to establish. 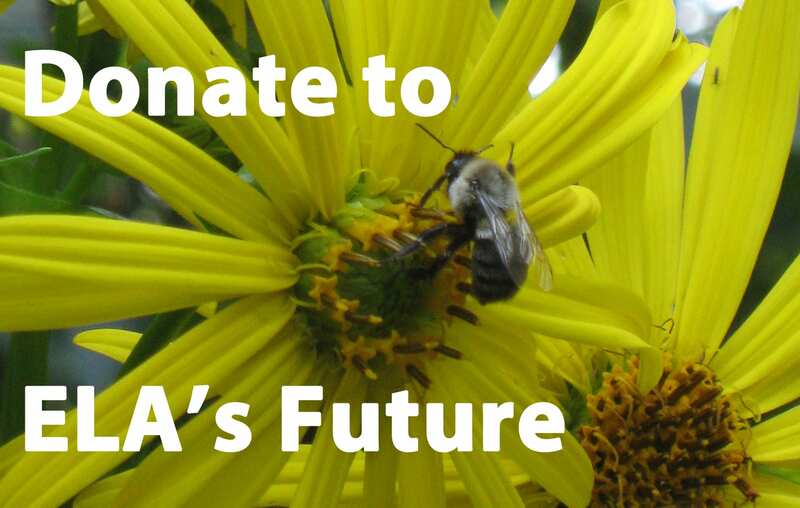 The flowers are visited by bees, wasps, flies, beetles and butterflies; however, more observation about the importance of this shrub for pollinators and other insects is needed. The caterpillars of the dorcas copper (Lycaena dorcas, also called cinquefoil copper) feed on this shrub. The seeds are eaten by song birds and small mammals, which also seek shelter or build their nests in this shrub. Since the foliage is rarely browsed by deer it is suitable for planting in areas with high deer populations. As a colorful plant, it is welcome by gardeners and does not need much promotion, but since it is a valuable native shrub, it is worth taking a second look at the possibilities of its use. A great place for shrubby cinquefoil is in the front of larger, dark green- or purple-leaved shrubs, where the light yellow or white flowers really can shine. New compact varieties with larger flowers of pure white and clean yellow are offered by Proven Winners under the name ‘Happy Face.’ According to Stacy Hirvela from Spring Meadow Nursery, who works with Proven Winner’s shrub program, the breeding efforts for ‘Pink Paradise’ (also in the ‘Happy Face’ product line) focused on fade-resistant flowers. Bailey Nurseries presents four newer varieties of shrubby cinquefoil from the Canadian Morden Research Station under their First Editions label. Three selections have double flowers which indeed are reminiscent of little rose blooms and are sure to win the hearts of many gardeners. Note that most orange and red cultivars of shrubby cinquefoil are derived from plants that were collected in east Asia by the English plantsman Reginald Farrer (17 February 1880 – 17 October 1920) and the question arises as to whether these might be genetically and bio-chemically considerably different from the American plants of the same species. Buttonbush (Cephalanthus occientalis) is quite commonly found along the edges of ponds and rivers, and according to the Natural Resources Conservation Service of the USDA, it is an obligate wetland shrub suitable for use in wetland restoration, created wetlands, and erosion control in riparian zones. 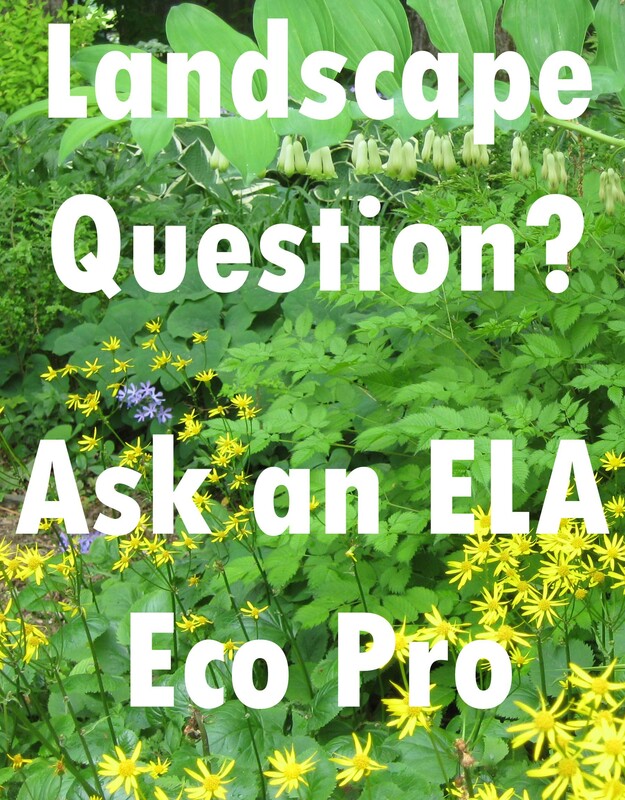 In the garden it can adapt to regular soil, but is most useful for areas with poor drainage. Note that it is reported to be less floriferous in dryer conditions. 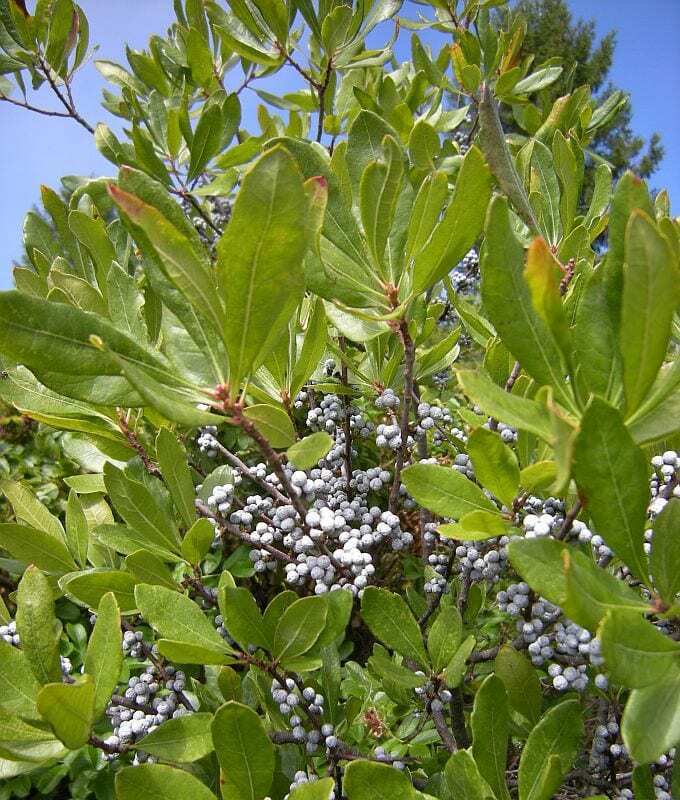 The spherical white flowers are the major asset of this shrub. Besides the ornamental use buttonbush is a valuable wildlife plant. The flowers providing nectar for hummingbirds, bees, butterflies, and other insects, and it is a good source of nectar for honeybees as well. 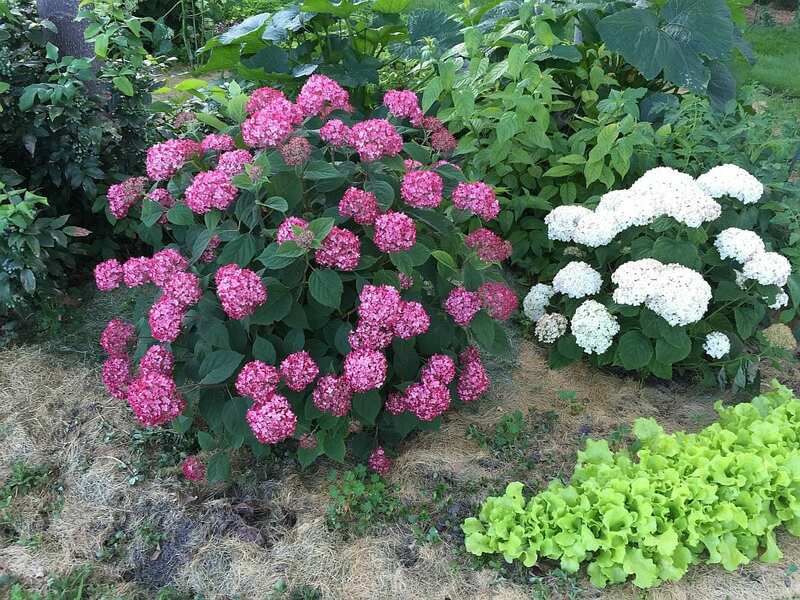 It is also a food plant for caterpillars of two Sphinx moths [Hydrangea Sphinx (Darapsa versicolor) and the Titan Sphinx (Aellopos titan)]. The seeds are consumed by eight species of water fowl, and wood ducks use the shrub for nest sites. The twigs are consumed by various mammals, unfortunately including white-tailed deer. In the wild this plant appears a bit unkempt and despite the interesting flowers has not found its way into mainstream gardening. 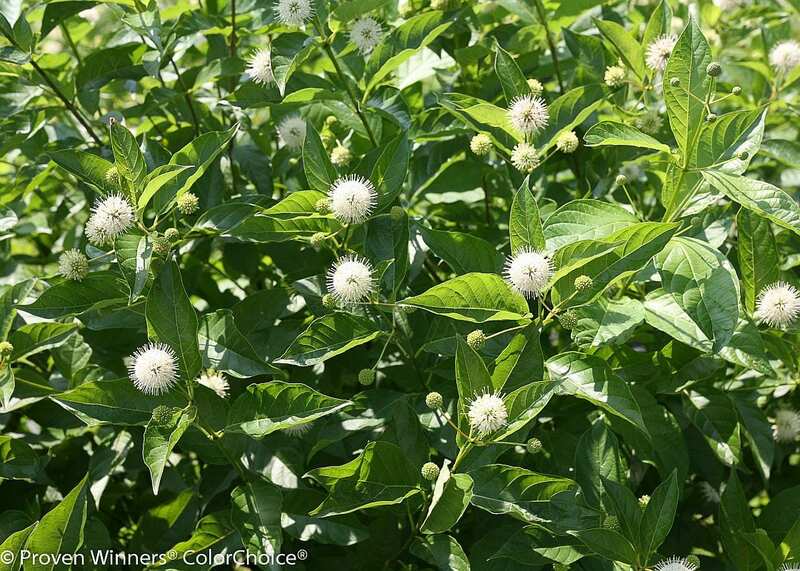 A variety with increased vigor (‘Keystone’) has been selected for wetland applications, but for ordinary garden use, one of the major drawbacks of buttonbush is its size, reaching a height of 12 feet in the wild. However the demand for this shrub might increase in the future since a new and considerably more compact variety, ‘Sugar Shack® Buttonbush’ (Cephalanthus occidentalis ‘SMCOSS’) has been released. ‘Sugar Shack’ is also noted for its glossy foliage and reddish fruit. This refined version would be well-suited for smaller home gardens and pollinator gardens, especially where there is abundant water. Sugar Shack is offered by Proven Winners with the claim, “We’ve cut the size in half and added colorful red fruit and glossy foliage.” It might be an excellent choice for rain gardens. Summersweet (Clethra alnifolia) has been brought into gardens as a summer-flowering fragrant shrub. The flowers are usually white, and the foliage turns a pleasant golden-yellow in the fall. It is very valuable for pollinator gardens as it attracts a wide range of pollinating insects, including bumblebees and predatory wasps. Hummingbirds also frequently visit the flowers, and the seeds are eaten by birds and mammals. The foliage rarely falls victim to animal attacks, but a draw-back is that Summersweet leafs out very late, and in its wild form it can be a tall and scraggly plant. Summersweet thrives with constant moisture and is suitable for wetlands, rain gardens, or the edge of a pond, but it also grows well in average garden soil. It is often slow to get established, and plants sometimes die in the first winter after planting, while established plants are more winter hardy. Numerous cultivars have been introduced, aiming at fuller bloom and improved compactness. In addition to the well-established Compacta, Hummingbird, and Sixteen Candles now comes a dwarf form called Sugartina® ‘Crystalina’ (C. alnifolia USPP 21,561, Can 4,160) which is supposed to mature at only three feet in height. Several woody species of St. John’s Wort are native to states bordering New England to the south and west, but none are considered native in New England itself. Kalm St John’s Wort (Hypericum kalmianum) is a useful North American plant and a deer-resistant one, so that we have a very good use for it! It features bright yellow flowers for an extended period during the summer. With a height of 2 to 3 feet, it is conveniently compact and suitable for smaller gardens, and it is easy to maintain as long as the site is on the moist side. This shrub will do best if lime is added to the soil. While I have found one source that lists H. kalmianum as a favorite nectar plant for butterflies, another source states that the flowers do not offer nectar at all, but are visited by wild bee species for pollen (Megachile, Augochlorella, Lasioglossum species). I guess someone will need to observe what is happening on these flowers to find out which is correct. Looking beyond the flowers, we can enjoy at least two species of aphids (Aphis mizzou and Aphis hyperici ) and the caterpillars of various moths observed feeding on this shrub, including Gray Half-spot (Nedra ramosula), Common Pug (Eupithecia miserulata), and Wavy-lined Emerald (Synchlora aerate). Both groups of insects will also be enjoyed by birds looking to feed their young. 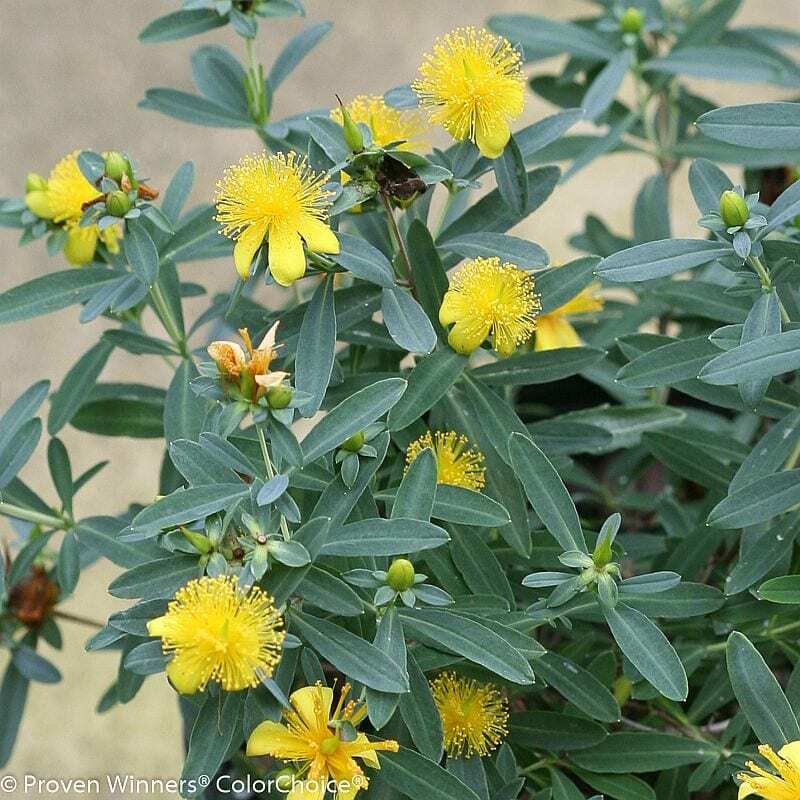 Producers have selected for extended bloom (Gemo), shorter plants (Ames), and a stronger blue cast in the foliage [Blue Velvet (PPAF) and Blues Festival® (Hypericum kalmianum ‘SMHKBF’ USPP 25,795, Can 5,306)]. Ninebark (Physocarpus opulifolius), which is closely related to the genus Spirea, is an easy to grow and robust shrub. In its green form it is not overly exciting, but the varieties with purple or golden foliage are outstanding ornamentals. 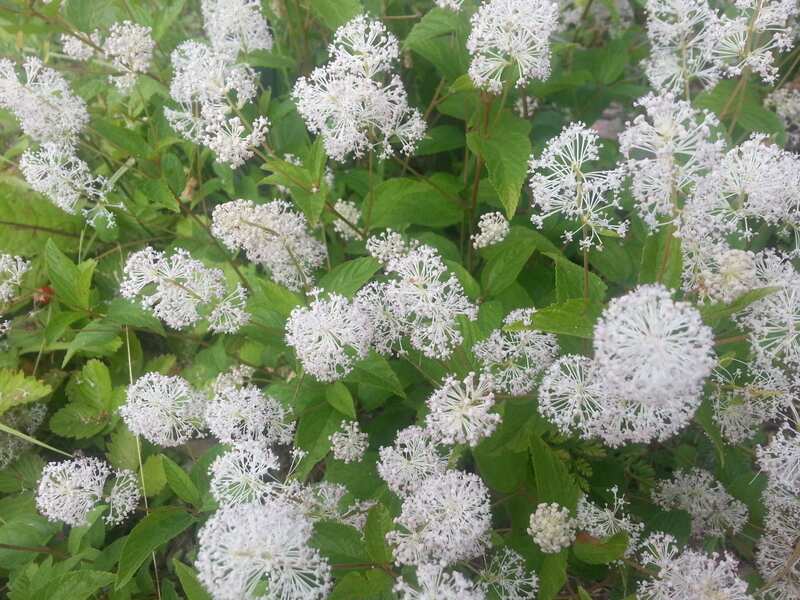 The rounded corymbs of white or light pink flowers appear in the spring after the lilac bloom and are most eye-catching on the varieties with dark foliage. 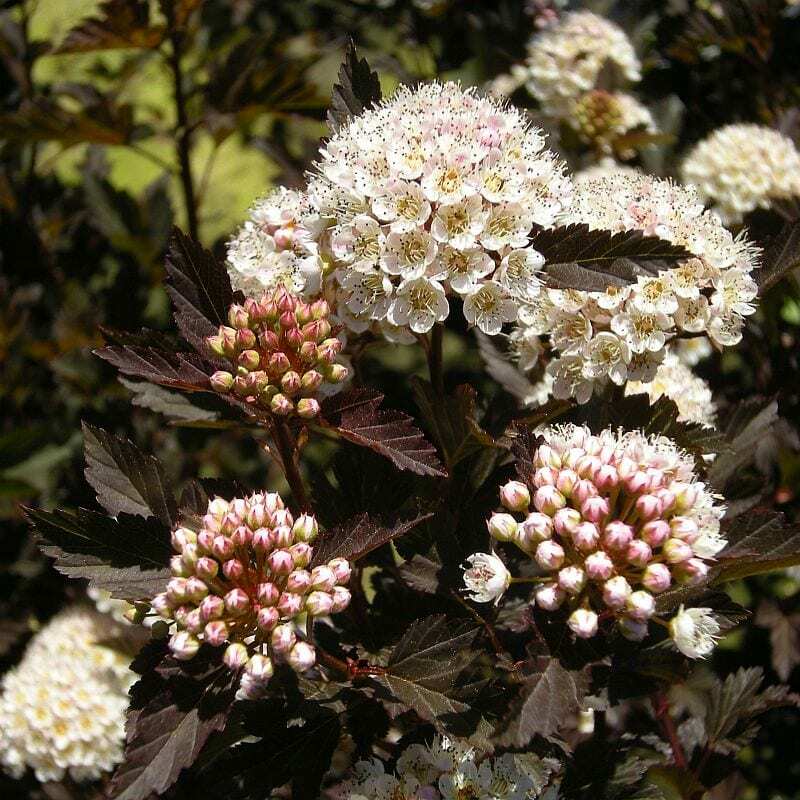 The name ninebark hints at the layers of exfoliating bark, but there is little ornamental value in this. Ninebark is an excellent plant to promote wildlife. The flowers are a good source of nectar and visited by a wide variety of insects, among them flies, beetles, butterflies, moths, bees, and wasps. The foliage provides food for several species of aphids, beetles, plant bugs, and caterpillars of various moths. Also, it is occasionally browsed by deer. The seeds might attract birds. When I look up ninebark in my 1997 edition of Dirr’s Hardy Trees and Shrubs there is still no sign of the big ninebark revolution that was kicked off with the first successful purple selection – Diabolo. 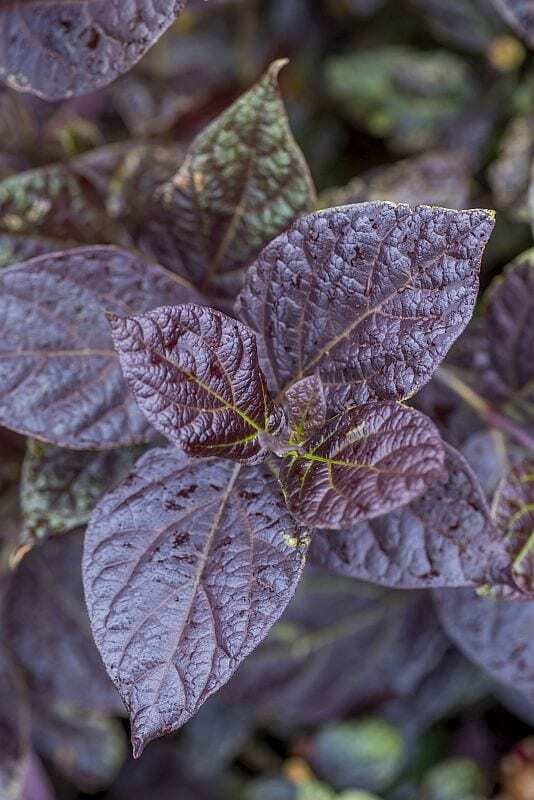 Bred in Germany, Diabolo has striking chocolate-colored foliage. Varieties in various shades of purple and warm copper-orange foliage and ever improved compactness followed shortly thereafter. 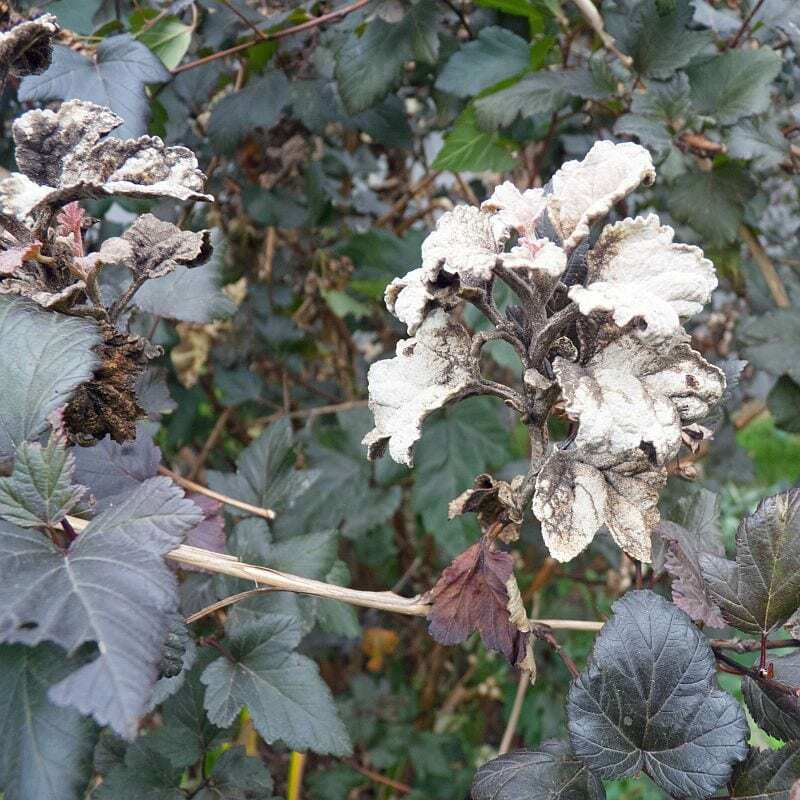 An important aspect of ninebark breeding is mildew-susceptibility. In studies conducted by the University of Connecticut, the golden-leaved varieties had proven to be the most susceptible, with ‘Coppertina,’ ‘Center Glow,’ and ‘Diabolo’ in the mid-range.’Summerwine’ is most resistant to mildew and its associated foliage deformations. Dwarf cultivars will most likely be the most mildew-resistant as long as they are derived from a selection called ‘Nana,’ which in the tests appeared completely unaffected by mildew. In my own garden, where I planted four different ninebark varieties, so far I have had no mildew problems, not even on ‘Dart’s Gold.’ The golden foliage next to my flowering raspberry (Rubus odoratus) and in front of a group of dark conifers seems to radiate sunlight and adds a note of freshness to the garden. I often check in on this plant with my camera to take pictures of the many insects that visit the flowers. First Editions ‘Little Devil™’ (Physocarpus opulifolius ‘Donna May’ PP22,634) hit the trade a number of years ago with great success, being a very compact purple-leaved plant with excellent mildew resistance. 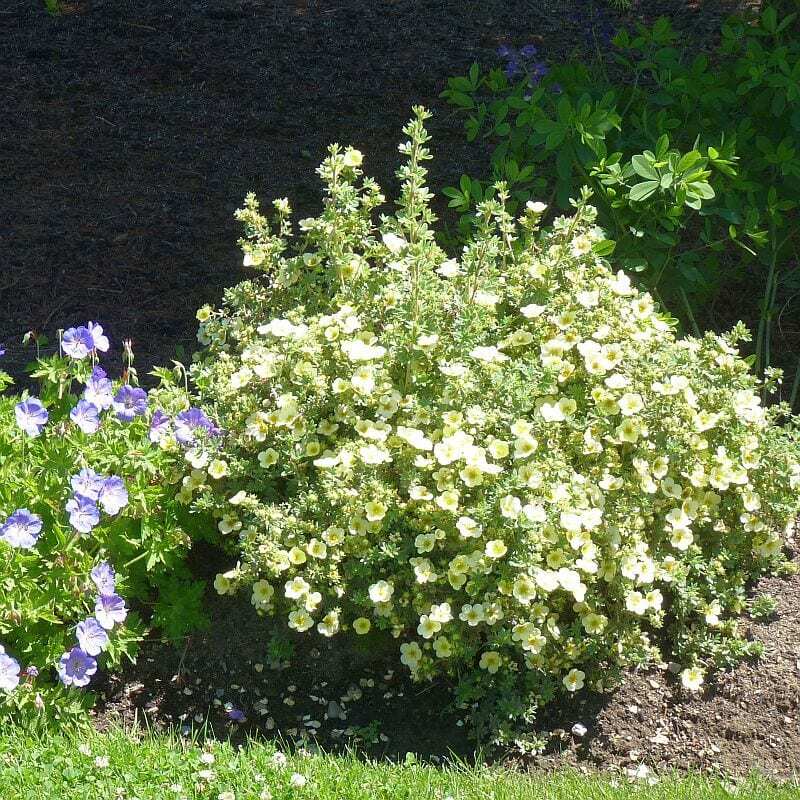 It is a very useful purple shrub for smaller gardens, effective in breaking monotonous greens, and it combines well with many other native compact shrubs, such as shrubby cinquefoil, by offsetting the silvery-gray foliage and yellow or white flowers. A similar offering by Proven Winner, ‘Tiny Wine®’ is described as “extra bushy, with small, refined leaves. The dark bronze-maroon foliage is colorful all season, and contrasts beautifully with the white flowers in late spring.” A dwarf variety with golden foliage, probably with some ‘Nana’-heritage and therefore most likely with increased mildew resistance, is ‘Tiny Wine® Gold’ (P. opulifolius ‘SMNPOTWG’ USPPAF, Can PBRAF). According to Stacey Hirvela from Spring Meadow Nursery, their plants are tested for years and grown in an area with poor air flow and high humidity to evaluate mildew resistance. The Californian producer Star Roses and Plants also has new varieties in its program, among them ‘Black Jack’ (‘Minall2’ PPAF), a compact shrub with black-purple foliage (similar to ‘Diablo’ in color), and ‘Gumdrop™ Burgundy Candy’ (P. opulifolius ‘Podaras 1’, PP#22361) with burgundy foliage (similar to ‘Little Devil’). Described as a more drought tolerant and mildew-resistant selection, Gumdrop is a U.S. Trademark of Cornell University. For the highly mildew-susceptible ‘Coppertina,’ a replacement called ‘Ginger Wine’™ (P. opulifolius ‘SMNPOBLR’ USPPAF, Can PBRAF) is announced for release this year by Proven Winners. Plants with similar foliage in a blend of copper, gold, and orange tones are ‘Amber’ (P. opulifolius Amber ‘Couriphy01’) offered by Star Roses and Plants and First Editions’® Amber Jubilee™ (P. opulifolius ‘Jefam’ PP23,177) offered by Bailey Nurseries. I personally was never a great admirer of snowberry and coralberry, but after learning about their value for wildlife I have adopted a different attitude toward these shrubs in the Honeysuckle family (Caprifoliaceae). Of the approximately 15 species of Symphoricarpos all except one are native to North or Central America. The common snowberry (S. albus) has white fruits and is native to the northern U.S. and Canada, while the purple-fruited coralberry (S. orbicularis) is native to eastern N. America, from Mexico in the south to New England and the Great Lakes on the northern edge of its distribution. Both are found in moist woods, in meadows, and on river banks. The flowers of snowberry are rich in nectar and nourish many insects, among them bumblebees, solitary bees, and wasps, as well as hummingbirds. It is also the food plant for the snowberry clearwing moth (Hemaris affinis), also known as hummingbird moth, and possibly other species of Lepidoptera. The berries are consumed by birds and small mammals. Although in some plant catalogs these shrubs are promoted as deer-resistant, they are in fact readily consumed by various mammals and not recommended for locations frequented by white-tailed deer, cattle, or sheep. While the purist of wildlife gardening might want to stick with the plain species of native Symphoricarpos, there are a number of plants in the trade that are results of crosses between S. orbicularis and S. microphyllus [Chenault coralberry (S. x chenaultii)] and between Chenault coralberry and common snowberry (S. x doorenbosii). For other varieties, the parentage is not specified. Among the newest selections are ‘Sweet™’ (Symphoricarpos x doorenbosii ‘Kolmagics’ PP20,932) with rosy pink fruit; ‘Candy™’ (Symphoricarpos x doorenbosii ‘Kolmcan’ PP20,931) with purple-pink fruit; and ‘Galaxy™’ (Symphoricarpos x doorenbosii ‘Kolmgala’ PP20,912) with white fruit, all of them Doorenbos hybrids in the First Editions® line offered by Bailey Nurseries. ‘Proud Berry™’ (Symphoricarpos sp. ‘Sofie’ USPP 21,226) with large pink berries is offered by Proven Winners. All of these are improvements over older varieties, with larger fruit and more compact, denser plants. The two Calycanthus species, floridus and occidentalis, are both native to North America, and a related species, Sinocalycanthus chinensis, is native to East Asia. These shrubs draw some attention due to their unusual reddish-brown flowers. There can be a fragrance of pineapple or over-ripe fruit. The bark of Carolina allspice smells of cinnamon or camphor and is used in the perfume industry. The fruit has the shape of a fig and can be found dried up but still hanging in the shrub in the middle of winter. For the wildlife garden, this plant is only of marginal value. Few animals feed on the foliage, and there are no berries to attract birds. I have never seen any insects on the flowers, but with a little observation one should be able to detect tiny beetles of the family of the sap-feeding beetles (Nitidulidae) which are apparently attracted by the smell of the flowers and which carry out pollination. For a designer, this shrub might be valuable in its purple form, C. floridus var purpureus ‘Burgundy Spice’ (PPTBS) offered by Star Roses and Plants, as it could be used for foliage contrast. Another good variety of C. floridus is ‘Michael Lindsey’, with dark flowers that are exceptionally fragrant and foliage that is darker and shinier than the species. Its form is dense and compact, and fall color is reliably bright yellow. ‘Athens’ (identical to ‘Katherine’) is a selection with pale yellow-green, highly fragrant flowers. Although the flowers are beautiful up close, they do not show well against the foliage from a distance. ‘Aphrodite’ (Calycanthus x USPP 24,014), developed as a collaborative project with North Carolina State University and Spring Meadow Nursery, is offered by Proven Winners and praised for its re-blooming flowers; however, it is a hybrid and therefore might not pass the “native” test. Into this category also falls ‘Hartlage Wine,’ which is a hybrid between the alien Sinocalycanthus chinensis and the native C. floridus. It grows larger and more upright than most sweet shrubs, reaching up to 15 feet in height. Calycanthus ‘Venus’ (PP15,925) is a white-flowered hybrid with a degree of non-native parentage. In the future, we can expect refined varieties of many other native shrubs to be offered by the nursery trade. There are rumors about breeders working on bayberry. And would a dense, compact cultivar with evergreen tendencies not be most welcome? Surely, there will be surprises. With a bit of imagination and a good hand for artful combinations, it is possible to create outstanding designs with native plants and provide for our wildlife at the same time. Thomas Berger is a landscape designer and stone sculptor in Kittery, Maine. Visit him at www.greenart.com or www.bergerstoneart.com. 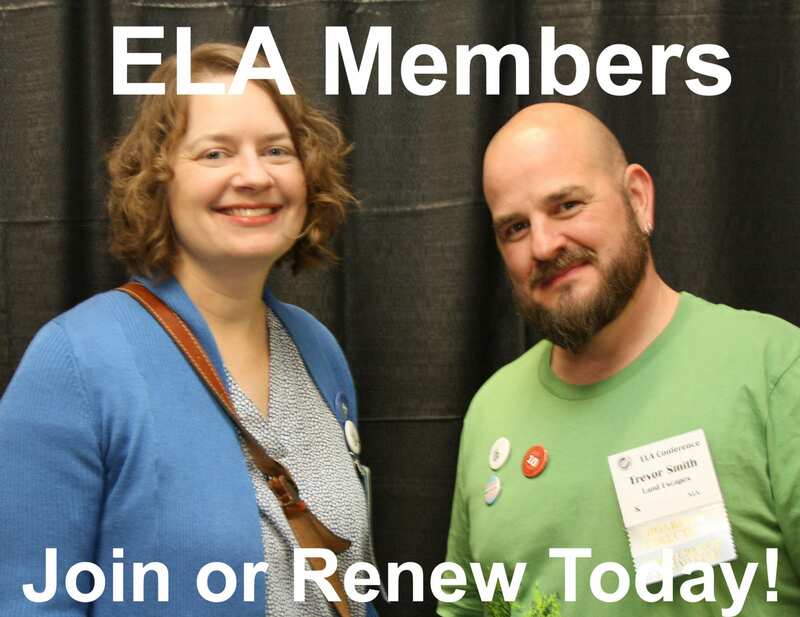 Thanks to Stacey Hirvela and Mark Osgerby from Spring Meadow Nursery and Tom O’Connell from Star Roses and Plants for taking the time to answer my questions.